Date: September 30, 6 p.m.
LOS ANGELES, CA --The Farhang Foundation Short Film Festival is pleased to announce six talented finalists competing for three cash prizes at its ninth annual cinema event. The films will be screened September 30, with the top three winners announced and awarded. The screenings will be followed by an awards ceremony hosted by Iranian American comedian and actress Melissa Shoshahi (FOX, Laugh Factory, Nickelodeon). This red-carpet event is followed by an exclusive cocktail reception in honor of the filmmakers. With two Oscars for best foreign language film in five years (for Asghar Farhadi's Separation and The Salesman), and the late-great Iranian filmmaker Abbas Kiarostami named the recipient of the Writers Guild of America West's Jean Renoir Award for International Screenwriting Achievement, Iran continues to act as an international cinematic force. The annual Farhang Foundation Short Film Festival highlights this growing film industry as well as the cadre of talented filmmakers working around the world that focus on themes of Iranian culture. Since 2009, the festival has awarded more than $160,000 to filmmakers. The short film festival is the only one in the nation of its kind and is devoted to fostering cultural understanding and awareness of Iranian art and culture. 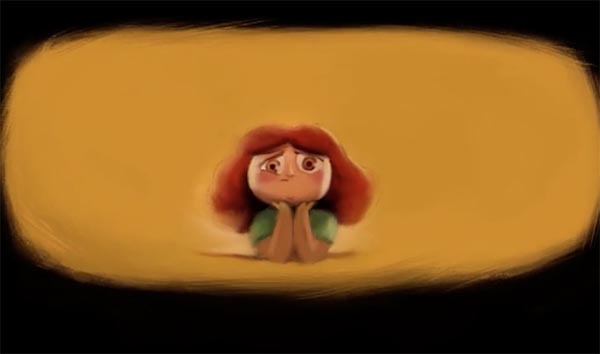 It has also become a springboard for filmmakers-Yashin Nahani, who took second place last year for The Last Tar, is currently at work on his feature animated film about Nowruz (Persian New Year) starring James Earl Jones. This year the event moves to UCLA's Schoenberg Hall, and is presented in collaboration with the prestigious Herb Albert School of Music, one of Farhang Foundation's newest cultural partners in Los Angeles. The selected films cover the gamut of genres-narrative drama, experimental, animation, and music video. Taken together, they reveal a culture rich in film, music, dance, and storytelling. As a couple in Tehran, in the midst of moving out of their apartment, prepare to go to a party they clash over the issue of bringing an appropriate gift. The husband is a filmmaker and the wife is a painter. As they mull over choices, the film is intercut with images of Iranian issues and icons-from the poet Ferdowsi to acid attacks on women. How do you depict Iranian culture through a single symbol? 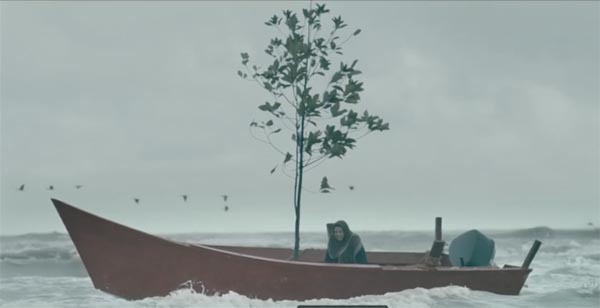 Filmed in northern Iran, this music video for the groundbreaking band Bomrani, beautifully visualizes the isolation and connection of human existence. Payam Ghorbani's dreamy, surreal music video for the band Shirazis visualizes life's contradictions and examines love, betrayal and revenge while delighting the audience with stunning shots all set in a traditional Qajar era setting. A beautifully crafted film about a little girl who lives in an orange tree journeys in search of a city of rainbows to save her sad town in this gorgeous animated short. Prolific short filmmaker Sam Javadi, who was born in Iran and is now based in California, filmed a modern dancer performing in an abandoned, concrete bunker-like building to create this evocative study of identity-how do we move on and let go, or shed our skin? 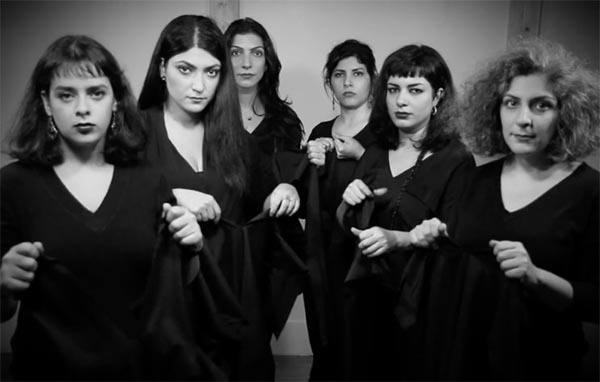 In this black-and-white mediation on the sexes, men play the traditional tombak drum and women tear sheets of fabric, creating a percussive dialog. The Brooklyn-based husband-and-wife directors question the relationship between men and women in today's society. The festival is open to filmmakers of any background. The only requirement is that the films pertain to an aspect Iranian culture, such as the arts, history, lifestyle, history, crafts, geography, and politics. The top three winners will receive cash prizes of $10,000, $5,000, and $3,000. The films are all subtitled in English and can be screened by the public at www.FarhangFilmFest.org. On the jury panel is a who's who of Iranian and international film. Visit www.farhangfilmfest.org for an upcoming list of attendees, subject to availability due to the current U.S. government's travel ban. Mark Amin, CEO of Sobini Films and former Vice Chairman of Lionsgate Entertainment, he also serves as Vice Chairman of the Board of Trustees of Farhang Foundation and Farhang's film festival Committee Chair. Roya Teymourian, the award-winning theater and film actress and star of such notable films as WOMEN'S PRISON and the arresting and emotional drama HADJI SHA. Farhang Foundation is a nonreligious, nonpolitical and not-for-profit foundation established in 2008 tocelebrate and promote Iranian art and culture for the benefit of the community at large. The foundation supports a broad range of academic activities in Southern California by funding university programs, publications and conferences. The foundation also supports diverse cultural programs such as the celebration of Nowruz (Iranian New Year), Shabe-Yalda, Mehregan, theater and dance performances, film screenings and poetry readings in Southern California. And, in cooperation with various cultural and academic institutions, Farhang Foundation funds major programs and exhibitions about Iran and its culture. For more information visit Farhang.org.